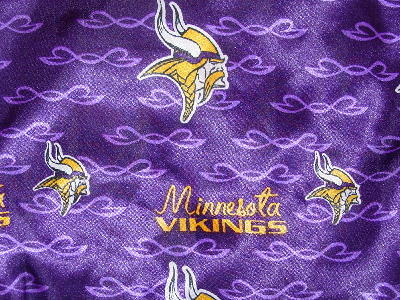 These 100% polyester pajamas have a background in the Minnesota Vikings colors with the Viking logo and Minnesota Vinkings in gold, white, and purple. 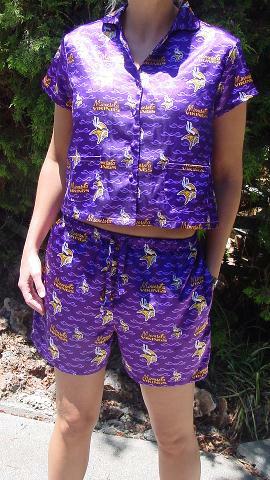 The top has short sleeves, a shirt collar, 4 fabric covered buttons down the front, and 2 lower front open pockets. 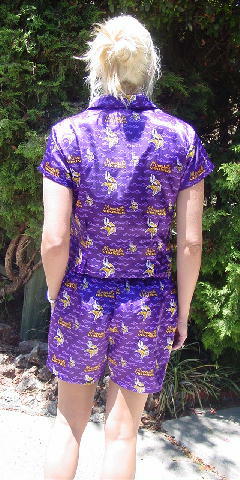 The shorts have an elastic waistband and two fabric drawstrings. shoulder to end of sleeve 5 1/8"
shoulder to hem 19 1/2"